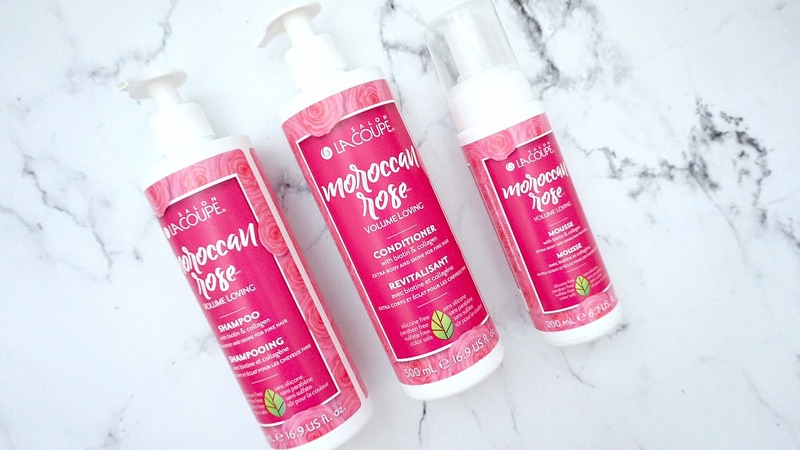 LaCoupe, with its 50 years of salon quality creations has recently introduced four collections of product that embrace the motto "In with the good, out with the bad"! These collections are silicone, sulfate, paraben, petroleum and GMO-free. There are no DEAs, dyes or harsh salts and is never tested on animals and comes in recyclable packaging. 1. Coconut Milk to nourish dry hair and replenish it. 2. Fresh Avocado for deep hydration and frizz control. 3. 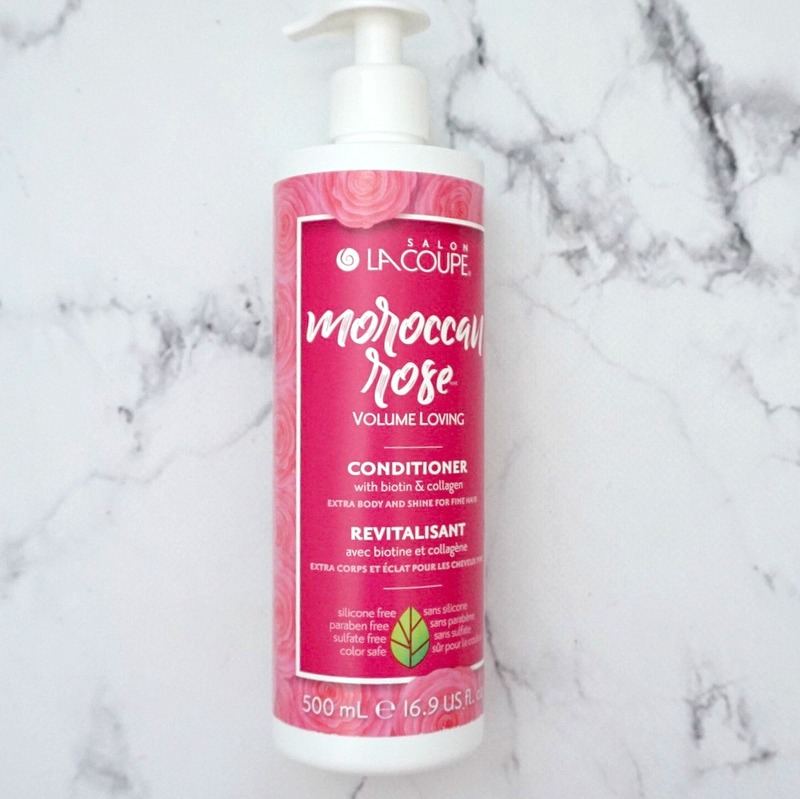 Moroccan Rose for extra body and shine for dry hair. 4. Royal Honey to revive and repair overworked hair. Again, for those of you who have been reading my blog for a while now, will know that I have thin hair that gets oily quite easily, so based on my hair profile I was sent the Moroccan Rose to try out. This collection is said to help thinning hair look fuller by strengthening it with a healthy dose of biotin and collagen for luscious locks. The Shampoo and Conditioner retail for $9.99 each and contains 500 ml. The best part of this is that the product is housed in a pump dispenser which makes for convenience in the shower. 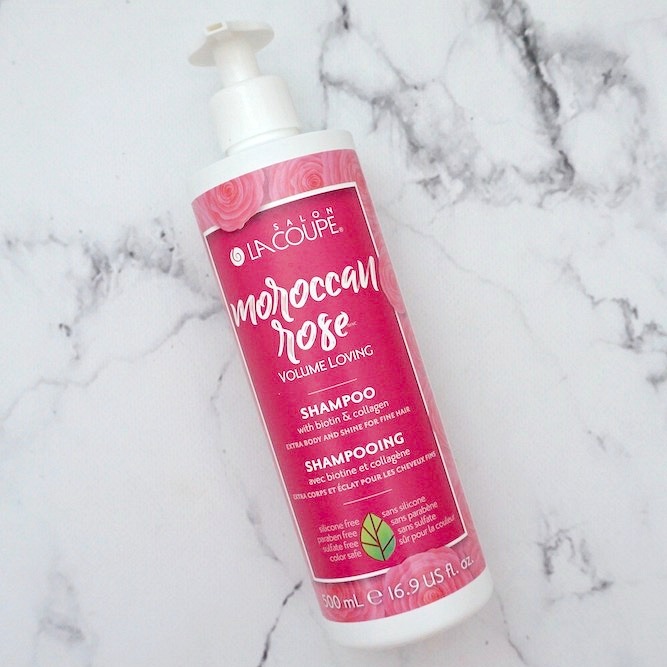 This is crafted with a natural blend of Moroccan Rose, Biotin and Collagen to promote fullness for fine and thinning hair. 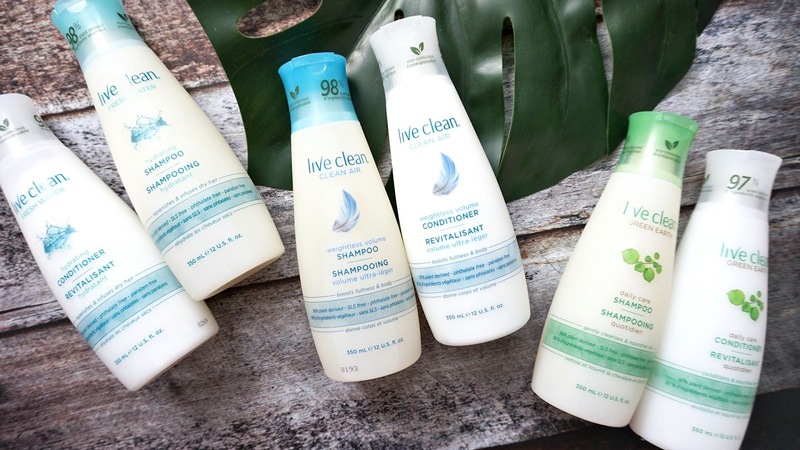 It also contains coconut water and 100% pure aloe leaf juice leaves for softer and shinier hair. 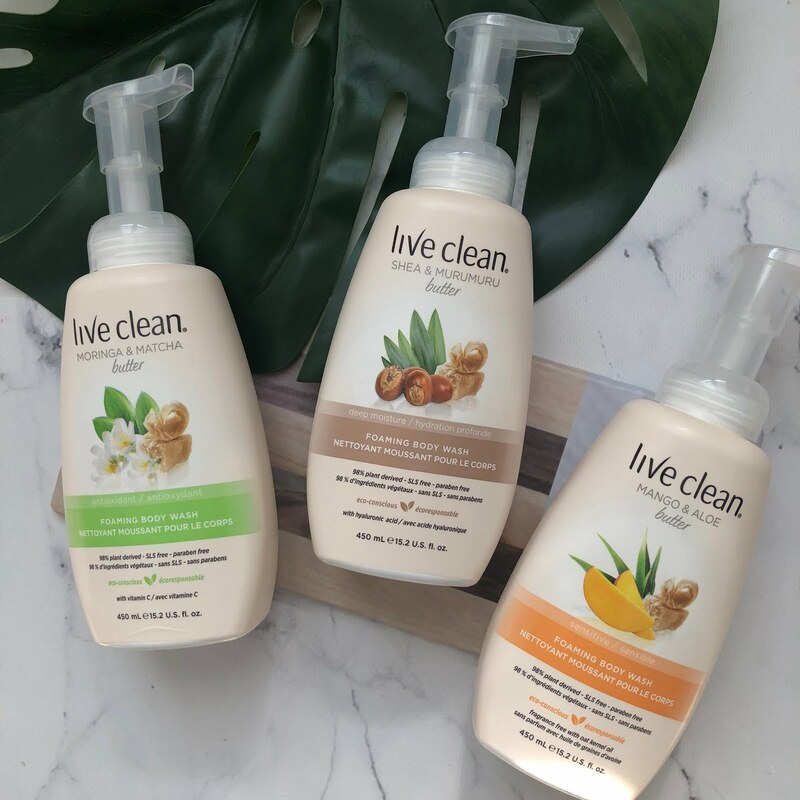 Thoughts ~ the shampoo and conditioner are great, did exactly what it said without weighing my hair down and kept it hydrated and moisturized. 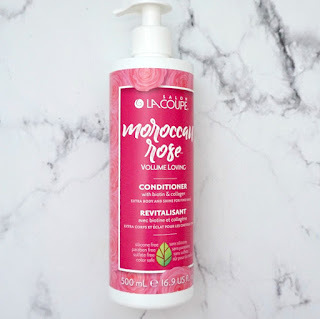 The conditioner worked well but doesn't have its usual slippery texture, you just have to trust that it works to hydrate the ends of your hair. The Mousse is also $9.99 but for 200ml. It is said to be lightweight and thickens and boosts volume for thin and limp hair. It is infused with biotin and collagen like the shampoo and conditioner. 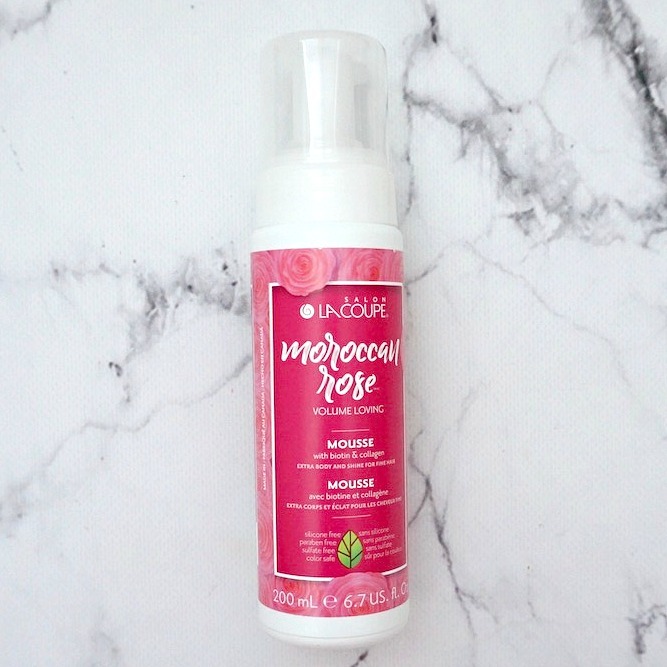 It contains a rich blend of natural moisturizers and exotic oils as well to add volume and pump hair. The best part is that it contains thermal protective formulas that shields against future damage. Thoughts ~ the mousse is lightweight and thickens the roots as it says. One important thing to note is it really holds the shape of what you set it as after it is dried so leave your hair down. I had my hair clipped half up, and my hair ended up in that shape (not that its a horrible thing) because it actually helped to make my hair look thicker.